Definitely an awesome and affordable space! Rented for a private party and it was perfect, lots of seating, stage, and so many songs to sing on the big screen! We had a ton of fun and the staff even joined in on karaoke! Fantastic place for hosting private events. The staff were super friendly and helped us make the party perfect! Venue was clean and cool with lots of seating, karaoke, and good food/drinks. We rented this space for 3 hours for a surprise party on a Friday evening. Everyone was SO accommodating, really friendly, and they were happy to be there. I wouldn't hesitate to recommend this place to anyone who is looking for a venue to rent. 10/10!! 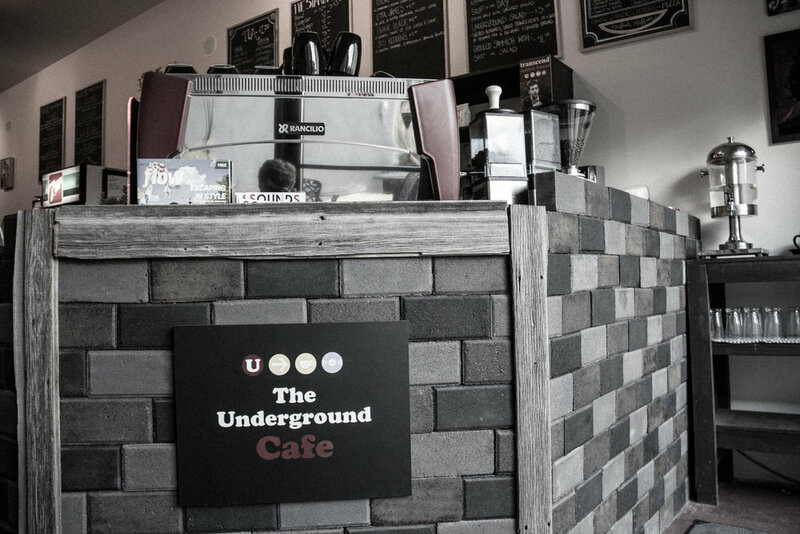 Welcome to The Underground Cafe, a music-themed venue perfect for hosting special events. Let us help you step up your next function in our fully licensed cafe space that takes a fresh approach to the event experience through our service and an atmosphere like no other. We strive to make your event one to remember! Clean-up is covered by the cafe! Looking to book a space for your next corporate event or party?